Blocked Sink? We have the solution! If your sink refuses to drain or takes a long time doing so and you have tried all the home DIY solutions its time to call in the professionals. Unblocking your sink is often only a temporary solution if you do it yourself. The problem is often far away from the sink and needs specialist equipment and our expertise. Sink blockages are very common problems both at home and in workplaces. Cooking fat, grease, oil, other thick liquids or even small solids are a often the cause. Greases and fats often build up in the pipework over time and can lead to a very tight sink blockage that can only be removed with some specialist attention. Call our experienced team now on 0800 781 8922 and we'll have your blocked sinks repaired in less than an hour and a half! Great prices, expert friendly staff and a long term solution to your sink awaits when you call JLH Drains. We most often find ourselves in both domestic kitchens and commercial ones, the most common locations for the common greases and fats, however bathroom sinks can also get clogged up, most often with hair. In all cases, JLH are the team to call for a quick, simple solution that sees everything running cleanly again in no time, we can even take a quick look around your other plug holes and key drains for a preventative check on any other problems building up. Trust JLH Drains to make fast work of any blocked sinks at home or at work, and with a minimum of fuss or disruption. Fully insured, experienced and well equipped, our blocked drains repairs team are available 24 hours a day across; Gillingham, Chatham, Rochester, Strood, Maidstone, Sidcup, Dartford, Gravesend, Higham, Newington, Sittingbourne, West Malling, Orpington, Swanscombe, Farnham, Woking, Leatherhead, Guildford, Wigmore, Parkwood, Sheerness, Northfleet, Crayford, Sheppey, Whitstable, Margate, Canterbury, Herne Bay, Ramsgate, Faversham, Medway and London. 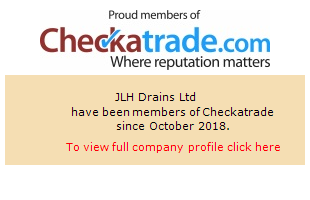 Whenever you need a blocked sink dealt with quickly, affordably and without a fuss, speak to the experts at JLH Drains; contact us today and we can arrange a no obligation survey and quotation with one of our friendly team.